Why post a review of the new MINI Cooper D when MINI still has not made it available in North America? Well, because hope springs eternal. For £16,450 on the road the third-gen Mini Cooper delivers stacks of personality and style. You will inevitably need to spend more to spec things to your desired level and then the only qualm will be a price point knocking on the door of £20,000. But even for that there's a whole lot of car for the cash. If you want a small car with personality then look no further. The Cooper D ticks the emissions box that will be important for many but with the new engine and 6-speed box avoids being the dull drive that it could have been. 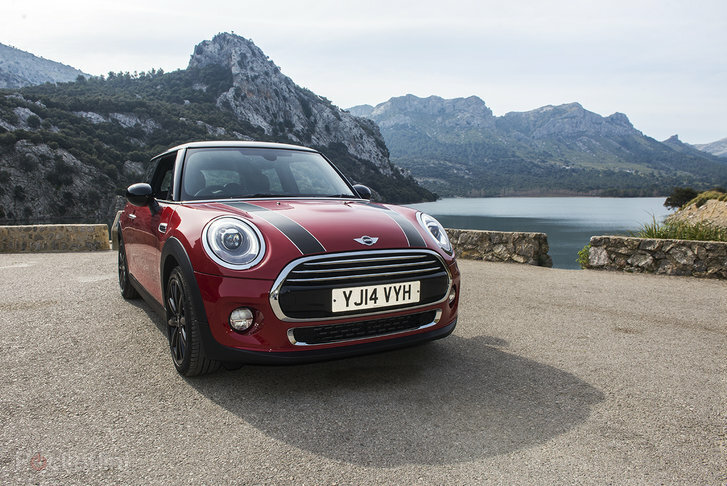 One of the biggest things of note in the 2014 Mini Hatch range is the BMW technology that's trickled down into its new Mini home. It's the small things that make the big differences. But as that builds upon an already ace interior and comfortable drive it amasses to a Mini Hatch that feels as close to driving a BMW as it ever has. Not bad going for a small car. The 2014 Mini Cooper is a tech lovers' dream and the most fun small car on the road right now. It may be Mini by name but it's massive fun to drive.